STAND WITH US TO FIGHT BULLYING! The VBF Anti-Bullying Policy Bullying is any severe or pervasive physical or verbal act, including written or electronic communication, that may include (but is not limited to) one sided, unfair communication which makes use of physical, social, or other power to hurt, frighten, threaten, or exclude another person or group of people. It is intentional, unwanted, and unprovoked. It may be performed by an individual or a group. It may be directed at a student, students, or staff. Bullying may be limited to a single incident, but is usually characterized by repeated, harmful action on the part of the bully. 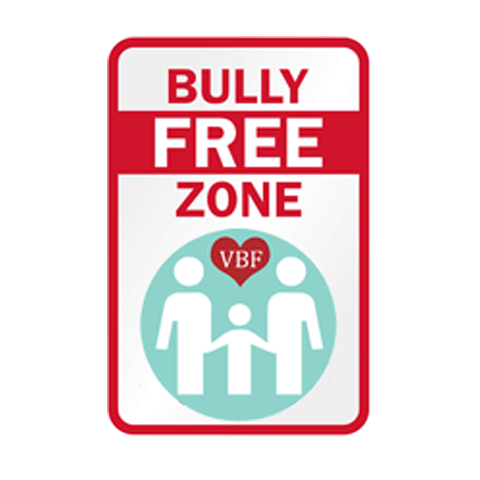 VBF is a bully free zone, and we do not support bullying or any activities that promote bullying anyone, especially individuals with a vascular birthmark and/or their affected families. Please join us to stop bullying, promote acceptance and model best practices within our community. It starts with us. Sign the VBF Anti-Bullying Pledge today and YOU can help us reach our goal of 2,500 signatures by the VBF’s International Day of Awareness on May 15. By standing together against bullying, we can make a difference.